When it comes to Epiphone Les Pauls for beginners an Epi starter kit is a smart choice. The first electric guitar you ever own will determine your musical destiny and make the difference between whether you succeed as a guitarist or fail miserably. No, not really. So relax. Choosing your first electric guitar doesn’t have to be rocket science, but you should be careful not to fall into some of the most common mistakes. For example, some people think the cheaper they go the better. This is a bad idea, because a poor guitar that’s hard to play is going to seriously hamper your progress. So, what should you look for in your first guitar, anyway? 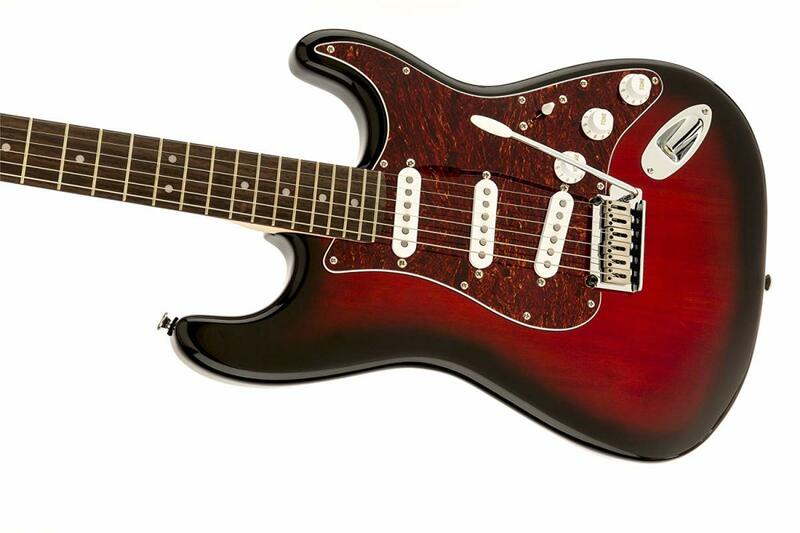 You know you want to choose a quality guitar, but of course you want it to be wallet-friendly. You want a guitar that will inspire you to pick it up and play. The internet is packed with information, but if you don’t know much about guitars it can be pretty overwhelming. Where do you start? If you are thinking about a Les Paul, you start here. In this post you’ll read about some suggestions on the best Les Pauls for beginners. I will take you through budget options and starter kits, all the way up to intermediate-level instruments for very serious beginners. The choices is yours when it comes to how much you want to invest in your first beginner’s guitar. 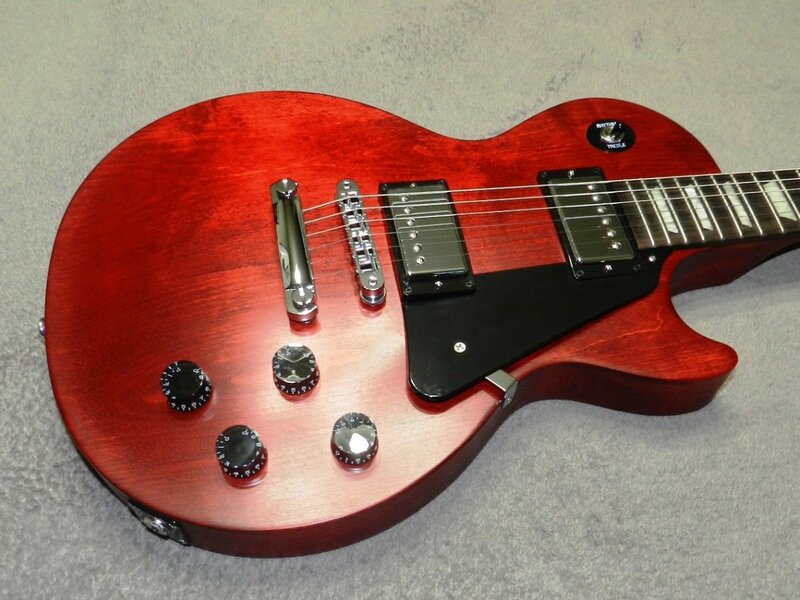 Whatever you do, in my opinion going with an Epiphone Les Paul is a smart decision. Epiphone is owned by Gibson, and authorized to make budget copies of Gibson’s high-end guitars. This means Epiphones are very affordable, but also required to meet Gibson’s high standards of excellence. Epiphone is among the top guitar brands in the world, and the Les Paul is one of the most popular electric guitars for beginners for good reason. The Les Paul is also a versatile guitar. It is an instrument equally at home playing jazz, metal, blues, country or rock. This is good news for beginners who aren’t quite sure what kind of music they are most interested in pursuing. So let’s check out some of your options when it comes to awesome Les Pauls for beginners. A starter pack is the most budget-friendly way to start playing the electric guitar. These kits contain a guitar, an amp and all the accessories you’ll need, including picks, a strap and instructional materials. In other words, you don’t have to hunt down everything piece by piece. Everything you need is there in one box. These packs are especially smart for parents who aren’t totally convinced that their wannabe Jimi Hendrix is going to stick with the instrument. You get the quality you need to give a guitar student an excellent shot at success, but you won’t be out a ton of cash if things don’t work out. Epiphone has a handful of pretty impressive starter kits. You can choose one of the Les Paul designs, including a Les Paul modeled after Guns N’ Roses guitarist Slash’s legendary Appetite for Destruction guitar. There’s also an SG pack, for those who prefer a different body style. For the typical beginner, in my opinion the Les Paul Player Pack is your best bet. This includes the Epi Les Paul Special II LE electric guitar, a solid instrument to get you started. It has a pair of hot humbuckers for that rich tone you expect from a Les Paul, and that classic shape Gibson made famous. Of course there are a few corners cut to keep it under budget, but this guitar is more than good enough to get you started. The kit comes with a 10-watt Electar practice amp. While I feel there are packs out there with better amps, I think the quality of the guitar makes this the best among electric guitar starter pack for beginners. Also included is a chromatic tuner, strap, cable, picks and gig bag. The next step up in cost involves getting each piece of the starter guitar setup separately, and that means you have to choose a guitar. You should be looking at a price tag of under $200 here. Add a beginner’s practice amp, a strap, picks, cable and a few other accessories and you should be able to come in around $300 for everything. I always recommend the Les Paul Special II for beginners because of its sound and playability. If you want to start off with a Les Paul-style guitar, in my opinion this is the way to go. It has a mahogany neck and body and a rosewood fingerboard like a Gibson, along with a pair of humbuckers, a tune-o-matic bridge and three-way pickup selector. It’s also available in a couple of pretty sunburst finishes. Going with the Les Paul Special II and a starter amp is a bit pricier than choosing one of the starter kits above, but you'll also get a better guitar. Both are great options, so let your budget be your guide. While the name is similar, the Epiphone Les Paul Special II is a step up from what you’d get with the Player Pack. Of course this is still an affordable, budget-level guitar, but it shows many of the hallmarks that you’d expect from a Les Paul. This is a guitar that made the top of my list of best electric guitars under $200. This guitar is a great Les Paul for the money, especially if you are into hard rock, metal, classic rock or even jazz. If you’re pretty sure you are going to stick with this guitar thing, and you have a couple of extra bucks to spend, you might think about increasing your budget for your first guitar. Serious beginners can justify looking toward a better guitar. So, what makes you a serious beginner? Certainly not deeper pockets alone, but if you have always dreamed of playing guitar and you are finally taking the plunge you may wish to choose a guitar a step above the typical starter guitars. Guitars around the $300 mark are significantly better in quality than the guitars listed above. Really, you’ll be looking at instruments for low-intermediate players. Some of these instruments even have what it takes to get the job done onstage or in the recording studio, and they are excellent for beginners who want to land a first guitar they can count on for years. While the Les Paul Special is a fine guitar for the money, and an outstanding option for newbies, the Les Paul 100 really begins to take the shape of the guitar that Gibson made a classic. It has a mahogany body with a maple top and bolt-on mahogany neck with rosewood fingerboard. You'll find the same hot humbuckers as on the Special, but in this guitar you get the dual volume and tone controls standard on higher-end Les Pauls, as well as a toggle switch mounted on top instead of near the control knobs. This is a real Les Paul electric guitar that will not only serve you well as a beginner, but will last you well into your intermediate years. But if you want to take it up another notch altogether you can land an Epiphone Les Paul that will take you even further. From a distance it is hard to tell the difference between a Gibson and Epiphone Les Paul Standard. Even on paper they are pretty similar. Both guitars have mahogany bodies and set mahogany necks. Mahogany is a warm, resonant tonewood and it forms the foundation of that classic Les Paul growl. Both Les Pauls have carved maple tops. Maple is a brighter tonewood, and it adds some bite and articulation to the sound. Both guitars have rosewood fingerboards, dual humbuckers, a three-way pickup selector switch and a volume and tone control for each pickup. In every way the Epiphone Les Paul Standard is a real Les Paul, down to the fact that Gibson backs it up. It is easy to get caught up in the hype of expensive gear, but for many guitar players it makes no sense to bust your budget when there are excellent, affordable guitars out there. This is one of the best electric guitars under $500 on the market today. Still, it is a serious investment for a beginner. The Epiphone Les Paul Standard pickups are Alnico Classic humbuckers. These are the pickups that put the Epiphone Les Paul on the map, and while not nearly as good as Gibson pickups they are excellent in this price range. Epiphone has made several improvements to their instruments in recent years, including fixing up the output jack to that it is more sturdy, and altering the bridge design so it clips on and stays put when you are changing strings. With these little tweaks and improvements these guitars are getting better and better. 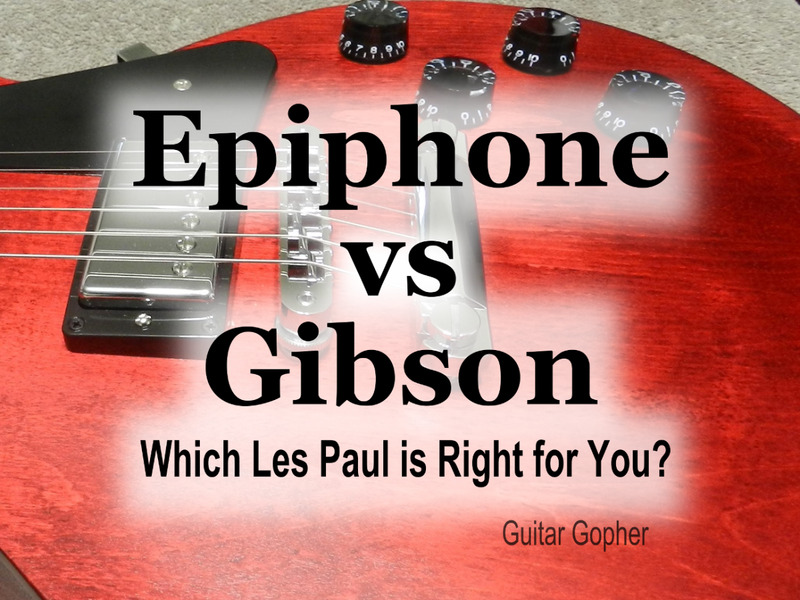 Where there was once a massive gap between Epiphone and Gibson, for many intermediate and hobby-level guitarists Epi is now the clear choice. The pickups are open-coil Alnico Classics. They will be slightly hotter than the covered version on the Standard. The Studio has a set neck, making it similar in build to the Standard. The Studio comes in some colors you won't see on the Standard, such as Alpine White and a cool Goth finish. No binding or inlays save you a few bucks and present a more spartan look. The Epiphone Standard Plus Top PRO is a significant upgrade from the LP Standard. At first glance it is obvious that the top is one major difference between the two guitars. Where the basic Standard comes in plain-top colors, the PRO version features pretty see-through Plus Tops. These are veneers meant to mimic the flame maple seen in the tops of expensive Gibson guitars, but don’t knock them too much. They look great, and most people won’t know the difference. In my opinion this guitar is the best choice for serious beginners who know they will stick with the instrument. This guitar is good enough to record and perform with, and you won't need to upgrade for a very long time. The major difference between the basic Les Paul Standard and the PRO version is the pickups. The Plus Top PRO features Epiphone’s ProBucker pickups, and they are a big upgrade from the Alnico Classics. These pickups alone have done a great deal to improve the quality of the Epi Les Paul, and lessen the gap between Epiphone and Gibson. The ProBuckers also have a push-pull coil tap feature, which is very cool. This lets you split the pickup and get a sound similar to a single coil. If you are looking for a Les Paul for the long haul, this is the instrument. It is one of the best guitars in the world for intermediate players, and worth considering for beginners who know they are going to take this guitar thing seriously. Now seems like a good time to bring up Epiphone quality. This is always a concern when it comes to guitars built overseas, and the fact that Epis are most often compared to Gibsons doesn’t help them any. You’ll read a lot of different opinions out there. Some say Epiphones are almost as good as Gibsons. Others say you are better off giving them a pass. So who should you believe? I can’t tell you whose advice to follow; all I can do is tell you what I think, and what I have come to realize over three decades as a guitarist. First off, Epiphone guitars are very good. For a beginner they are tough to beat. Quality is much improved over recent years, but they are certainly not perfect. While the design and construction methods are outstanding, quality control is what you have to watch out for. Because they are built overseas to save a few bucks you have to be aware of duds. They are few and far between, but make sure you purchase your guitar from somewhere that has a good return policy just in case. Truthfully, most of my past concerns about Epiphone quality have been remedied with some of their most recent changes. Better pickups, a more solid build and more reliable hardware and electronics have gone a long way toward eliminating many guitarists’ issues with Epiphone quality. In my opinion, a beginner would be smart to consider Epiphone for their first guitar. They’ve built a solid reputation as a quality brand, and they have the backing of one of the biggest names in the guitar world behind them. I hope this article served as a jumping-off point for a better understanding of starter guitars, and what you should expect out of your first instrument. 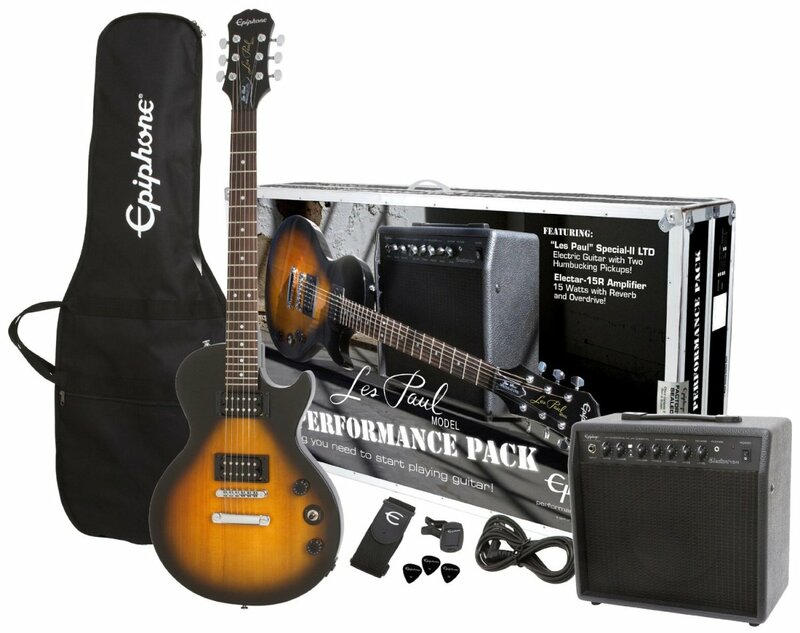 Epiphone Starter Packs: An affordable way for a newbie to grab a great guitar, amp and all the accessories they need to start playing guitar. For most beginners, this is the option I recommend. Les Paul Special II: If you’d rather assemble your own starter rig, in my opinion this guitar is the way to go. It is at the top of the list for guitars in its price range. Les Paul 100: This is an option for serious beginners with a few extra bucks to spend. It’s a better guitar than the Special II, but a little more expensive. Les Paul Standard: This is an intermediate-level guitar, but some players may wish to start with a superior instrument. Adult learners in particular may wish to cut to the chase and start out on a higher-quality guitar. Les Paul Standard PlusTop PRO: For beginners who aren’t messing around, the PlusTop PRO presents a quality option good enough for gigging and recording. Choosing this option means you won’t have to upgrade to a better guitar for a long, long time. Good luck learning guitar, and finding the perfect starter instrument! Your opinion: Which Epiphone for Beginners? Which Les Paul would you choose as a beginner? Not even a mention of the Maestro line? I lucked smooth out and scored a Maestro ebony SG box set on clearance thru an online walmart ad for $60 total, delivered to my door. Its a plywood body with an ungodly top routed control cavity, unfinished maple neck with a scarf joint headstock but you get the real Gibson open book/moustache headstock shape, not the one with cut corners!!! If this had been my 1st guitar my life would be different. I am just starting my guitar lessons today and have bought a Epiphone Humming bird acoustic and a Epiphone Les Paul 100th anniversary for my first electric. the main reason for my selection is for the feel of the guitars,they just felt comfortable in my hand, then the sound, the hummingbird is so soft when needed but can open up remarkably. My Les Pau is just so versatile its amazing, both in my opinion are great choices but for the beginner a touch pricy. Great Products and excellent sound. 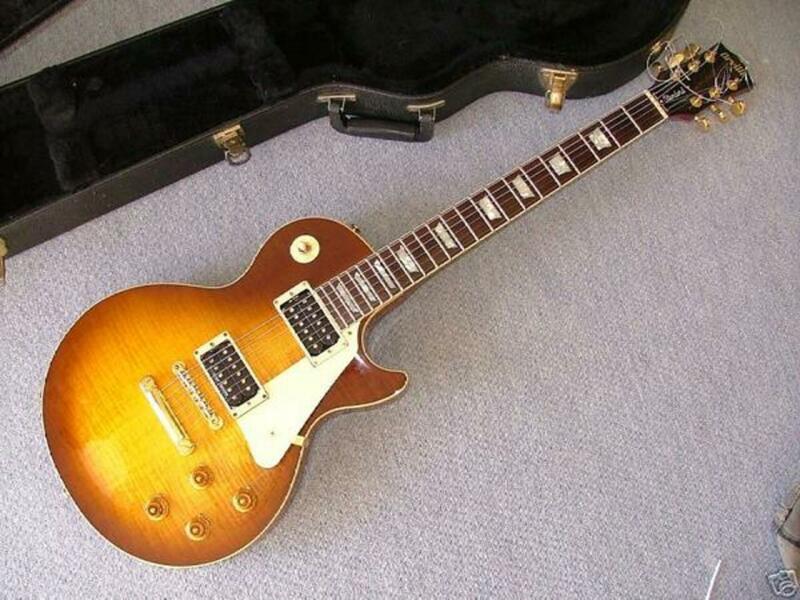 The decision to by the anniversary Les Paul was it came with hard case,strap picks and a high end Les Paul, if I had bought the Standard pro and added the accessories after word it would have cost more.